The Waterford councillor Gary Wyse passed away unexpectedly today. TRIBUTES HAVE BEEN paid to a Waterford councillor who passed away unexpectedly. 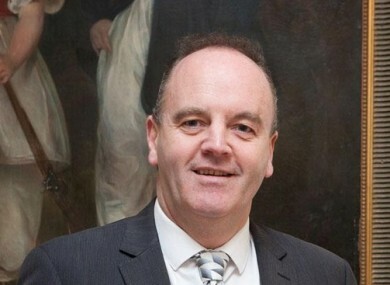 Cllr Gary Wyse was a Fianna Fáil councillor and married with four children. The owner of Classic Carpets, he had a keen interest in investment in Waterford. Earlier today, at about 12pm, he posted an updated on his Facebook page about the opening of the Early Learning Centre in Waterford. Tributes have been pouring in today on his Facebook page, with people writing of their shock and sadness over his death. Cllr John Cummins, Mayor of Waterford and Michael Walsh, Waterford City Manager, have paid tribute to Cllr Wyse. Elected to Waterford City Council in 2009, Cllr Wyse (50) represented Waterford City East on the Council. He also chaired the local authority’s Environment Strategic Policy Committee (SPC) and was a member of the Economic Development & Planning SPC. In addition, he was a member of the Waterford Joint Policing Committee and the board of Waterford City Enterprise Board. Cllr Cummins expressed his sincere condolences, both personally and on behalf of Waterford City Council and the wider community, to Gary’s wife and family. News of Gary’s passing spread rapidly across the city on Tuesday afternoon and there’s a genuine feeling of shock for all of us who knew and worked with him on the Council and in other aspects of city life. As well as being a public representative, Gary was a very well known businessman and personality in our city where he ran a successful business for over a quarter of a century. He said that Wyse was a keen sports fan with a particularly strong affinity for St John’s Park where he came from. Michael Walsh also sent his deepest sympathies to Gary’s wife Michelle and their children, calling his death “a desperate shock”. He said that Gary showed himself to be a hardworking and very capable public representative. “He worked hard for the area that he had his electoral base in but also took a city-wide view and had a clear vision of where the city needs to go to reach its full potential,” said Walsh. Among those to pay tribute was also Fianna Fáil leader Micheál Martin, who released a statement saying that he learned of his passing “with deep shock and sadness”. Gary was an example of what is best about community politics in our country. He was devoted to improving his native Waterford City, providing employment and working to maintain and improve services for his most vulnerable neighbours. Wyse had recently been confirmed as the party’s candidate for next year’s local elections in Waterford East, said Martin, and enjoyed “the affection and respect of his colleagues throughout Waterford”. Indeed, when I spent time with him last year visiting the homes of his constituents, I was struck by the genuine warmth and regard that people had for him. There was a deep and solid respect for his honesty. He noted that on a recent trip to Waterford for the pre-Dáil strategy meeting, the Fianna Fáil Parliamentary Party heard from Gary on the challenges facing the city and his ideas for improving the region. “As always, we were hugely impressed by his infectious energy and enthusiasm for his community and the challenges it faced,” recalled Martin. He described how he had left Waterford “with every confidence that Gary had a productive and successful career in public service ahead of him”. On behalf of the entire Fianna Fáil organisation in Waterford and across the country, he offered the late councillor’s mother Eileen, wife Michelle, their four children and his entire family circle “every sympathy and support”. Email “Tributes paid after sudden death of Waterford councillor ”. Feedback on “Tributes paid after sudden death of Waterford councillor ”.